The Immigrant Investor Program, more commonly known as EB-5, was created by the United States Congress’ Immigration Act of 1990 (IMMACT90). This act significantly restructured the U.S. immigration system and included changes to non-immigrant visa categories, deportation rules, and increased legal immigration limits, among other important revisions. Congress established the EB-5 program to stimulate the U.S. economy by giving foreign entrepreneurs the opportunity to permanently live and work in the United States after they have invested in an American commercial enterprise. In 1993, Congress created the Immigrant Investor Pilot Program to increase interest in the EB-5 visa program. This new pilot program established EB-5 Regional Centers. Regional centers are business entities that receive special designation from United States Citizenship and Immigration Service (USCIS) to administer EB-5 investments and create jobs. Several major overhauls to the EB-5 program were made in the late 1990s. These changes were prompted by the discovery of lax regulation enforcement and fraud in EB-5 investments. The ruling in the U.S. District Court case of U.S. v. O’Connor uncovered fraudulent EB-5 investment schemes. The Administrative Appeals Office (AAO), the appeals unit of USCIS, issued changes to the EB-5 requirements in 1998. These changes required investors to provide proof that EB-5 investments originate from lawful sources and that investors are personally involved with their EB-5 project, and they prohibited investment return guarantees. USCIS attempted to apply these new regulations retroactively to former EB-5 cases. However, the ruling in Chang v. U.S. made this practice illegal. The number of EB-5 applicants significantly dropped after the new regulations were enacted. The AAO attempts to ensure that EB-5 regulations are uniformly applied to all new applications and, to that effect, made four extremely important precedent decisions in the 1990s: Matter of Ho, Matter of Hsiung, Matter of Izummi, and Matter of Soffici. These precedents are still binding on current EB-5 applications. In these decisions, the AAO made important determinations on program requirements, including the type of commercial entity that can take EB-5 investment, the qualifications for legal source of funding, and how the investment can be administered. 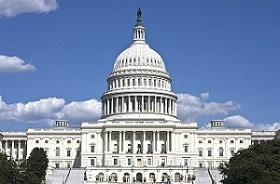 Congress passed the Basic Pilot Program Extension and Expansion Act of 2003 to help revitalize the EB-5 program. This act required the Government Accounting Office (GAO) to conduct a thorough investigation into the EB-5 visa program. This investigation revealed that only a fraction of the 10,000 visas allocated to the EB-5 program were actually being granted each year. This discovery prompted more program reforms. One such reform was the creation of the Investor and Regional Center Unit (IRCU) in 2005. This specialty unit of USCIS has oversight of the EB-5 program, including case auditing, form design, regulation development, and policy creation. The formation of the IRCU has led to better coordination and increased reliability in the EB-5 program. USCIS issued revised EB-5 policy guidance in 2009. USCIS centralized EB-5 processing at the California Service Center (CSC) whereas the processing had previously taken place at two different centers - California and Texas. In spite of not yet being permanent, the EB-5 program has been consistently reauthorized. In 2009, President Obama extended the EB-5 Immigrant Investor Pilot Program until September 30, 2012. President Obama reauthorized a three year extension on September 28, 2012 which will extend the EB-5 Immigrant Investor Pilot Program until 2015.